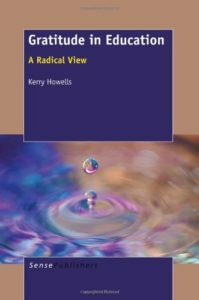 Teachers at all levels of education will find Kerry’s book practical and inspiring as they read how other educators have engaged with challenges that reveal different dimensions of gratitude, and how some have discovered its relevance in gaining greater resilience, improved relationships and increased student engagement. Free PDF preview on publisher’s website. View the video from the Mind & Its Potential 2012 Conference where Kerry explains the benefits of the practice of gratitude in education. Gratitude in Education is offered as an online course at the University of Tasmania.